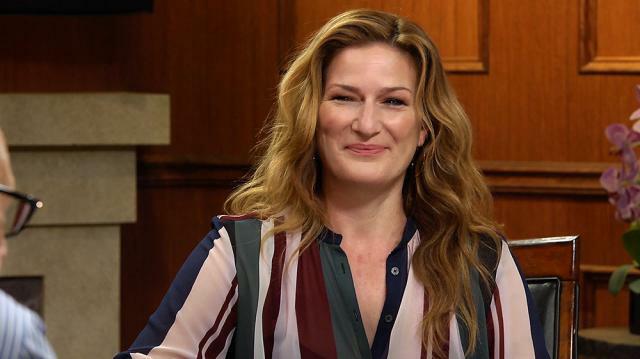 Comedian Ana Gasteyer says that – despite what conventional wisdom had led her to believe – things have only gotten easier as she’s gotten older, not harder. Larry King: Something you long believed to be true and then realized wasn't? Ana Gasteyer: I mean, this is gonna sound hokey. But, I'm 49 years old. And I think I always thought as a woman it would kind of get harder as I get older, and I think it gets easier. I've been waiting my whole life in some ways -- you know, I'm a character actress. And I don't think I realized, you know, when I hit 49, 50, it's really just beginning. it feels like it's just beginning. And I feel like I'm letting go of worrying about what people think so much, and worrying more about what I want.